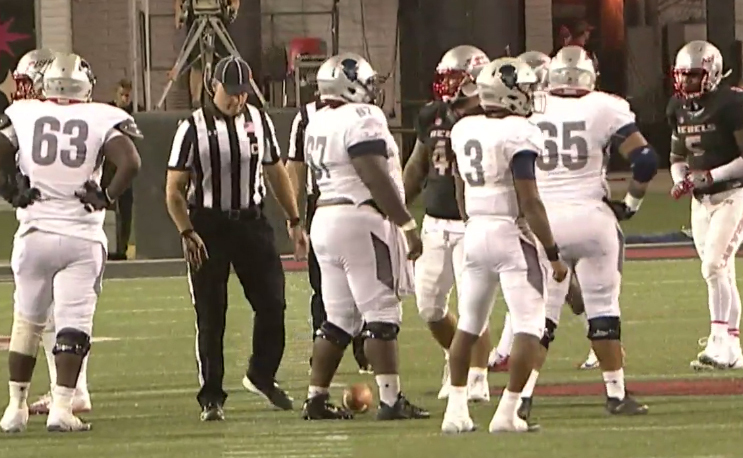 Howard pulls off a major upset, knocking off FBS UNLV. Howard football made a lot of noise back in January when it got a commitment from Cam Newton’s brother, Caylin Newton, and brought former UVa. head coach Mike London in to take over the program basically back-to-back. Apparently, the Bison aren’t done making noise yet. Howard, led by Newton, shocked the college football world and knocked off FBS UNLV 43-40 to open up its new era. The win has already been called “The Biggest Upset In College Football History” by betting experts as Howard was a 45-point underdog. BIGGEST UPSET in CFB History! $100 on outright win pays $55,000!! Newton threw for one touchdown and ran for two more, finishing with 330 yards of total offense in his college football debut. We’ll have to check the stats to see how that compares to his big brother’s first college performance. In any event, Howard beating an FBS opponent is something few people saw coming. I know I didn’t. It’s still early, but the Mike London-Caylin Newton era has gotten off to a sizzling start for HU. Wow! Go Bisons, the real HU! Please spell out the name of the school. I have NO IDEA who FBS UNLV is! I want to get excited but I just don’t know what to be excited about yet! UNLV is the University of Nevada at Las Vegas. They are a school that is more famous for their basketball tradition than football. The “Running Rebels” were a dominant national championship team in the early 90s with the likes of Larry Johnson, Stacey Augmon and Greg Anthony on their team. FBS just means they are a top level Division I school, formerly known as Division IA. Now instead of Division IA and IAA in football we have FBS (Football Bowl Subdivision) and FCS (Football Championship Subdivision) By all means please celebrate. Morgan State came out on top over Howard in a series of runs.